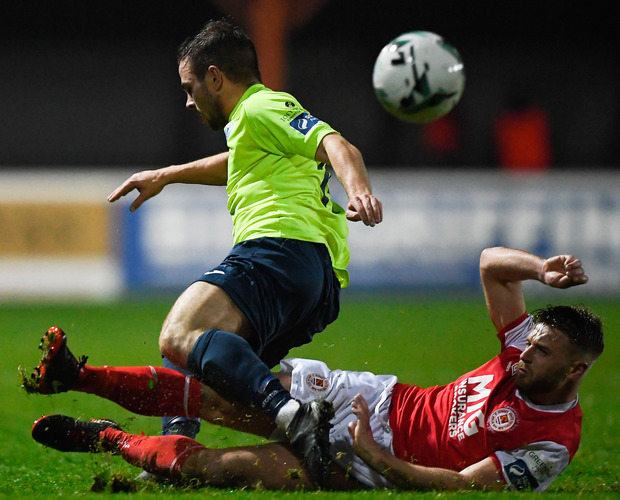 Newly-promoted Finn Harps frustrated St Pat's at Richmond Park to earn their second big point in four days. 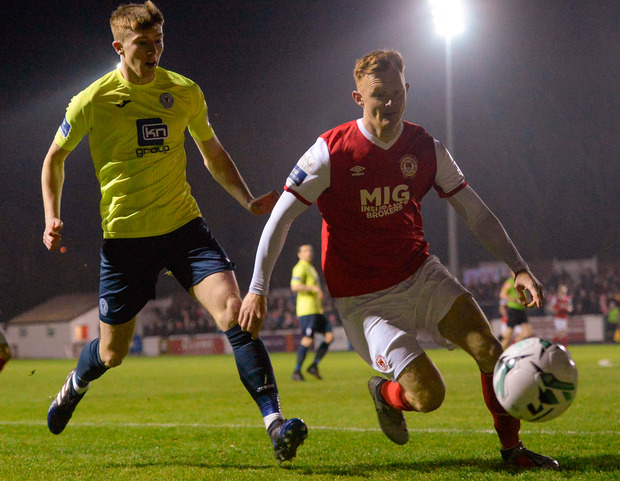 Fresh from their creditable draw with champions Dundalk on Friday, Harps were well-organised, showing plenty of energy as they stifled Saints, before getting their first sight of goal just past the half hour. Front two Nathan Boyle and Sean Boyd combined with the latter's drive being deflected out for a corner. St Pat's upped the tempo from the restart with Mikey Drennan turning to fire a shot narrowly wide. But they soon had a scare or two at the other end. Dave Webster had to get his body in the way to block a shot from Boyd before the tall striker glanced a header wide from a Mark Coyle corner. Despite Brandon Miele and Chris Forrester being introduced to try to liven up St Pat's attack, chances remained at a premium. A clever Conor Clifford ball found the run of Drennan down the inside right channel on 72 minutes. His shot found the side netting to just about sum up St Pat's night. Harps might have snatched it in stoppage time, but Daniel O'Reilly's powerful header was straight at Brendan Clarke. St Pat's - B Clarke; Webster, Toner, Desmond; Madden, McCabe (Forrester, 70), Clifford, Lennon, Kelly (Doona, 82); Shaw (Miele, 60), Drennan. Finn Harps - Burke; Borg, Todd, Cowan, O'Reilly; Kavanagh, McGinley (McAleer, 79), Harkin, Coyle; Boyle (Cretaro, 67), Boyd (Place, 85). Referee - G Kelly (Cork).